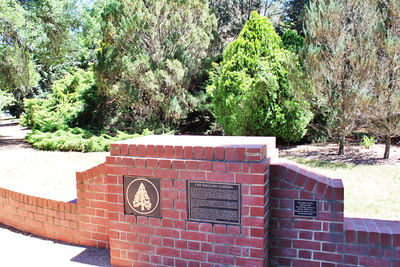 The English Garden is a small section of Weston Park, planted on the grounds of the old Yarralumla government nursery. The garden is dominated with tall trees, and it's a nice spot to wander through or set up a picnic. The entrance is just off of Weston Park Road, near the Yarralumla Nursery, the Heritage Nursery, and the Yarralumla Gallery and Oaks Brasserie. There's a short path to walk down before you actually reach the garden. 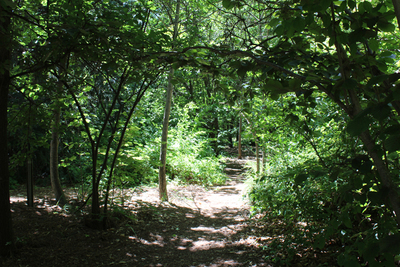 Paths lead through the garden, and it's a relaxing walk under the canopy of tall trees. The light can't reach a lot of the path very well, so it's a cool shady walk. 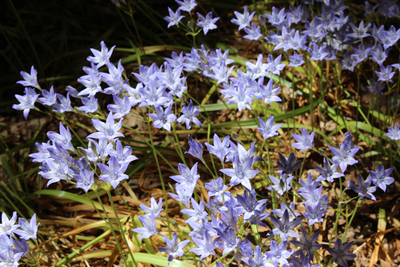 You're surrounded by plenty of fluttering butterflies, and the earthy smells mix with the pine needles. 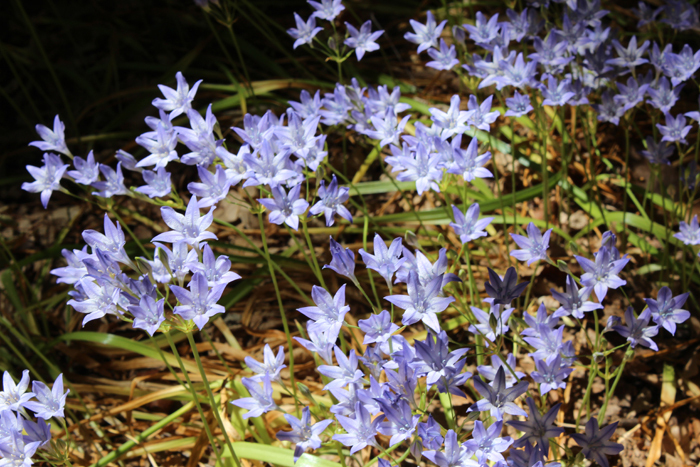 There are a few small wildflowers, which bring some colour to the walk. As well as the walking paths, there's also a large grassy area which makes a nice picnic spot. There aren't picnic tables, you'd need to bring along your own picnic blanket, but whether you're eating or just relaxing, it's a nice place to sit. Most of the grassed area is unshaded, but the trees around the boundary do offer a chance to escape the sun. Unfortunately frequent construction work means that the garden's views aren't as nice as they could be, a large fence runs along one side and behind it the piles of dirt and ongoing construction work spoil the scenery a little. 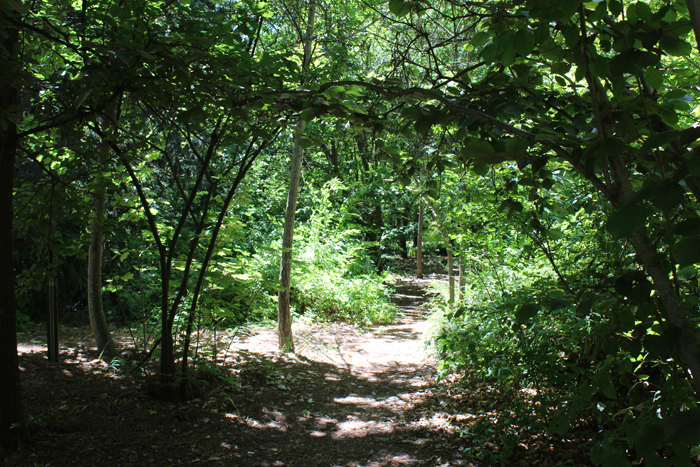 The garden is at it's most beautiful as you walk along the path, when the light streams through breaks in the trees and butterflies dance around you. Here you'd have no idea about the nearby construction work, or diners at the nearby cafe. The English Garden isn't worthy of it's own day trip, but if you're in the area pop by to check it out. 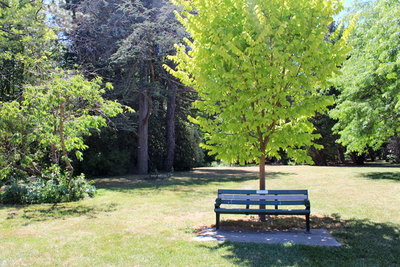 You can find more parks and gardens on the Territory and Municipal Services website or by searching for parks or gardens on Weekend Notes.